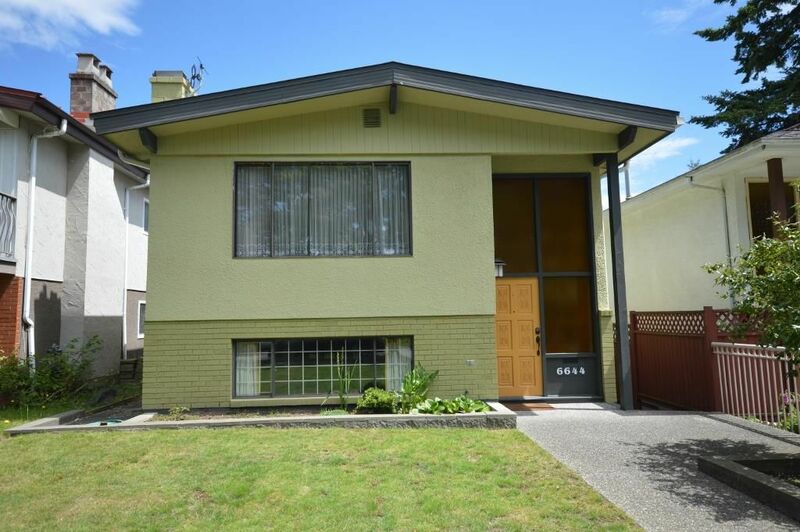 Beautifully maintained Vancouver Special in South Vancouver! 3 bedrooms upstairs, and 2 bedrooms and a kitchen downstairs. Lots of updates here all within the last 10 years. Upstairs bathrooms completely updated. Beautiful new extended deck with new floor, privacy screens, railings, and stairs, all done in 2014. Exterior paint and windows: 2014. Water heater and furnace both replaced in 2010. Leaf guard gutter: 2013. Garage Doors: 2013.